Applying for a mortgage loan is a time-consuming and often stressful experience. And during the process, you'll feel as if you're sending an endless stream of documents to your mortgage lender. But if you know upfront what documents your mortgage lender will request, you'll remove at least some of the mystery, and much of the stress, from the mortgage-approval process. One of the first documents that your mortgage lender will need is a completed Uniform Residential Loan Application. This document starts the mortgage-application process, and gives your lender valuable financial and personal information about you. To complete this form, you'll need to provide basic information such as your address, Social Security number and full name. You'll also have to provide information about your job, income and debts. Your lender will want to verify your income and debts while deciding whether you can afford monthly mortgage payments. To help your lender do this, you'll need to send copies of several of your most important financial documents. This includes your last two paycheck stubs, most recent two bank account statements and your income-tax return statements from the last two years. You might also need to send copies of your most recent credit-card, auto-loan, student-loan and retirement-account statements. Your lender might also request that you send a proof-of-employment letter. This letter, as its name suggests, provides written verification that you work at a specific company in a specific position. Make sure that the supervisor or human-resources professional who writes the letter dates and signs it, uses company letterhead and lists your title, how long you've worked at the company, whether you work as a part-time or full-time employee and your gross annual salary. Would a Mortgage Adviser Ask for Bank Account Details? If you receive income from several different sources -- and not just from your main job -- you'll have to provide copies of documents that lenders can use to verify these money streams. If you receive regular alimony payments, you'll need to provide a copy of a cashed check. You'll need to send copies of rent checks from tenants or checks sent to you as a result of a legal settlement. 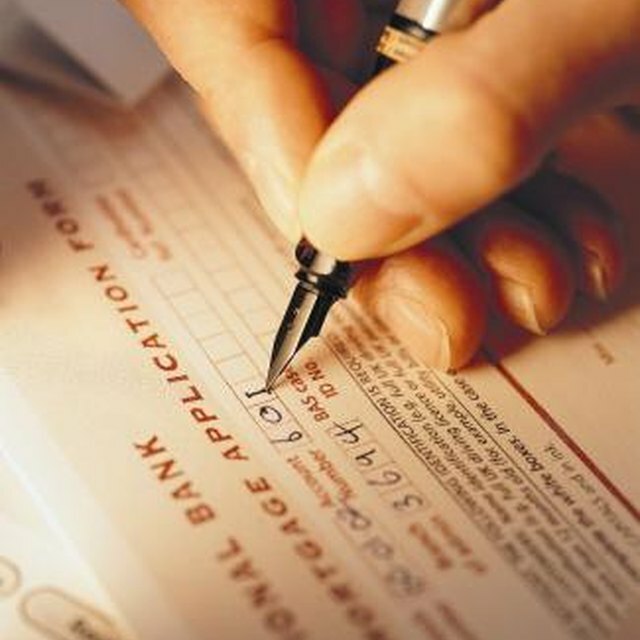 You'll need to verify every income stream that you want lenders to consider when you're applying for a mortgage loan. Your lender will review your credit report to confirm that you have a history of paying your bills on time. Your credit report lists your open credit-card accounts and any existing loans, such as student or car loans, that you are paying off. It will list any missed or late payments that you've made. And if you have any recent negative judgments against you, such as bankruptcies or foreclosures, they also will show up on your credit report. QuickenLoans: Mortgage Application Documents: What do You Really Need to Copy?